PIN IT! Exploring Poulsbo today! It’s such a cute little Viking town! Poulsbo, a small city with a heavy Norway feel, was a place I never knew I would love to visit. While exploring Washington, a friend of mine told me how much she loved downtown Poulsbo and was excited to take us to their local doughnut shop, Sluys. I, being a doughnut connoisseur that I am, of course obliged. PIN IT! And of course no town exploration is complete without tasting their doughnuts! This one was called a Viking cup with a mountain of cream cheese icing on top! We drove for what felt like forever until we arrived in an adorable downtown area that was buzzing with visitors. Walking up to the doughnut shop I was taking in all of the beautiful Nordic decor and feel the town had to offer. It was so darn cute! We grabbed a dozen “viking cups” and random other doughnuts for the littles and sat on a bench to enjoy the cool morning air. PIN IT!After stuffing ourselves silly, we stumbled upon a “Where’s Waldo” search for the kiddos. This is when everything really took off. See the deal was that you had to visit all of the stores on a “map” and find Waldo. Once you found him, you got a signature from an employee and then headed on your way. Once you collected all of the signatures you needed, you were suppose to head back to one of the main bookstores and collect your prize. Well, a prize is all that needed to be stated for our 6 kids to get into a frenzy of excitement so off we went. PIN IT!Let me just say, this was a fantastic strategy to get guests into the doors of the shops. We searched high and low in 23-25 stores to find Waldo and us adults bought coffee, candles, paint, stickers, hats, etc. 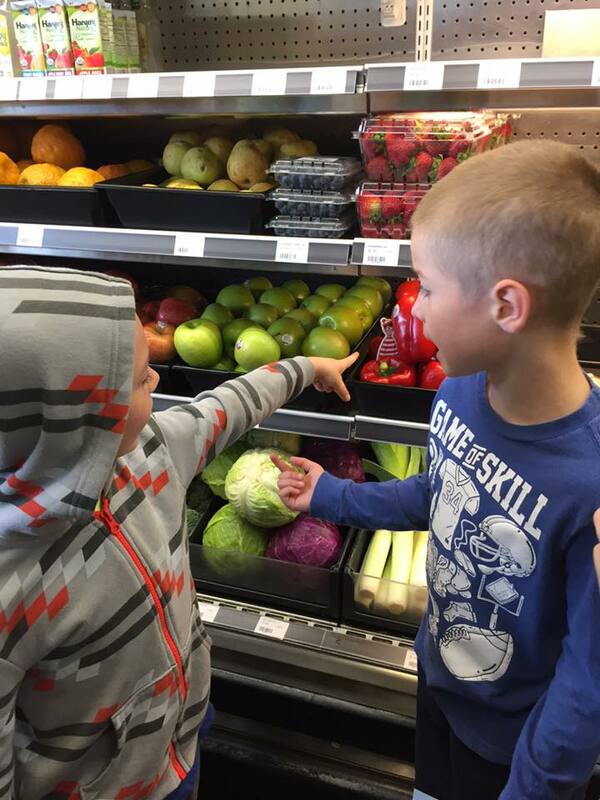 in a variety of stores that we may not have walked into without our kids playing the game. It was absolutely great! PIN IT!Once we rounded up all of the signatures the kids were able to redeem their search sheet for Waldo buttons that they were very proud to have. We also decided to head back to one of the Italian restaurants to chow down on lunch as well because the food smelled amazing while hunting for Waldo earlier. Downtown Poulsbo was such a blast to explore and offered a huge variety of shops for such a small area. It will now be a mandatory stop every time I visit Washington so that I can soak up some more Viking-esque sights and products. Not to mention I wouldn’t mind getting my hands on another Viking Cup! Poulsbo seems like such a fun place to visit. Washington is definitely on my travel bucket list. I LOVE that there are little Where’s Waldo’s located throughout city. How cute is that! Downtown Poulsbo seemed like a great place to explore with your family. we love Vikings and thise would certainly interest my husband and sonny boy! I would love to visit this town. 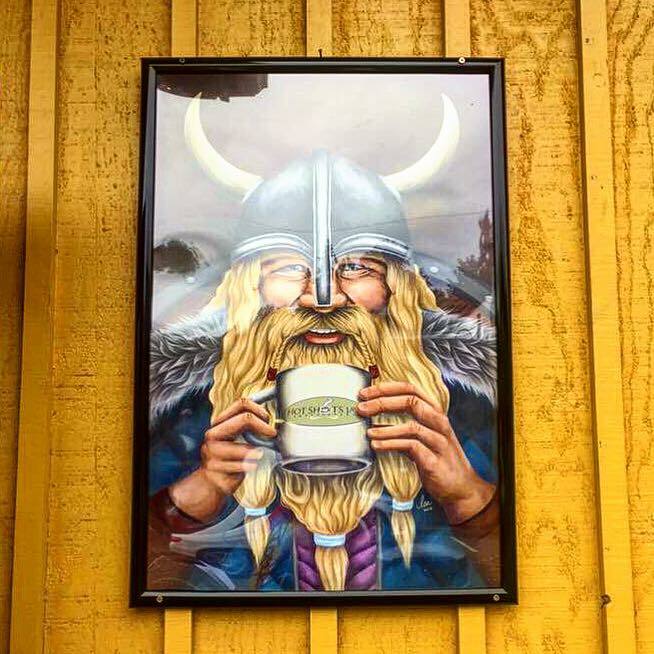 My grandmother’s family is from Norway and I’m sure she has some vikings in her family tree (my husband says my son and I act like one). When I finally make it to Washington, I’m going to check Poulsbo out. What a fun place to visit. That donut looks yummy and I love the Where’s Waldo game. That’s a great way to get people visiting the shops. This sounds like such a fun place to visit. That speghetti dish looks so delicious. I’m really hungry now that I saw that picture lol! Thanks for sharing about this downtown area. What a fun visit. I love the finding Waldo activity! What a nice way to explore the city and check out the stores. Sounds like a really fun time! I have always loved waldo and finding him in the books so that sounds like it would be such a blast! Very cool and fun. This looks like so much fun! I was reading through and kept imagining my daughter and husband going through, laughing, and having a great time. SO fun!! Oh how fun is this! I love this, I bet it’s great for all ages too really! Love this, great pictures too! What a great little town, I have never heard of it before. 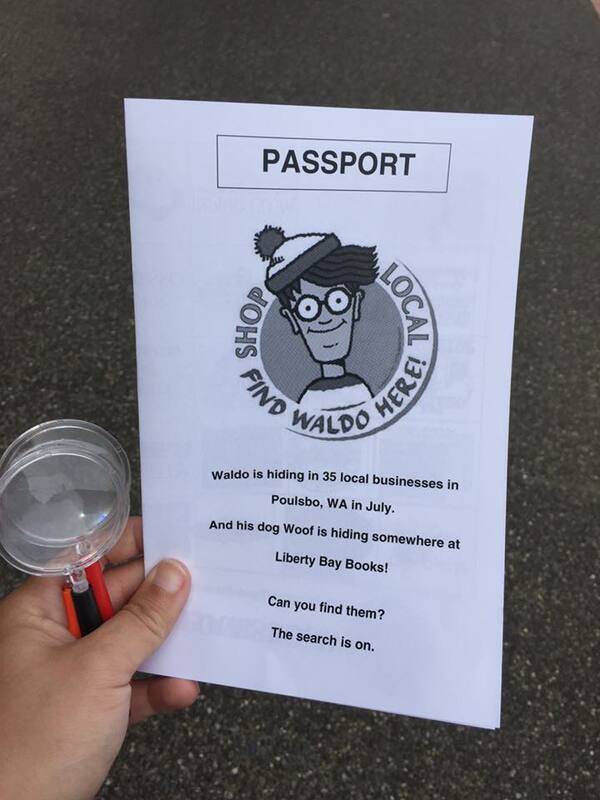 My kids love the Wheres Waldo books – such a great idea! What a fun activity! I LOVE Washington but have never heard of this place. I need to check it out! This looks like a fun place to visit. MY husband has even mentioned possibly moving there someday. Sounds like a great area with lots to do! This looks like so much fun and an adventure the whole family would love! What a genius way to get guests to explore a town! My kiddos would have LOVED that too. That pasta just made my stomach growl, too! That sounds like so much fun! That would be awesome to do with the kiddos. The donuts sound good too lol. Oh my goodness, how fun is that? I would love to have a great adventure like that-it could be crazy fun. How fun! That sounds like such a great way to spend a day as a family. I keep meaning to make the drive up to Washington. Perhaps I should do it this weekend before the fun ends.